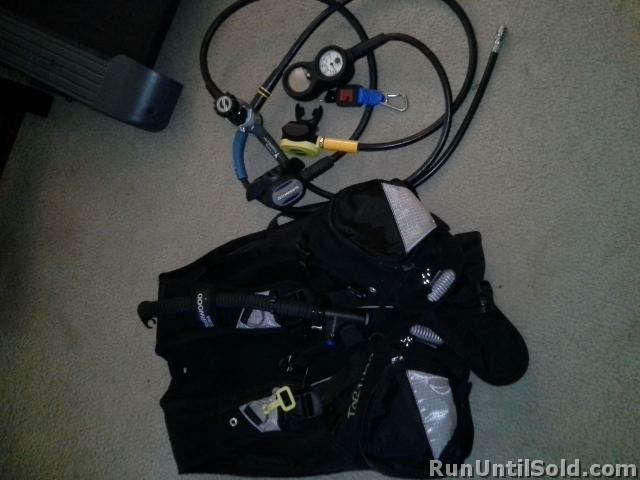 Seller Ofd835 assumes all responsibility for the listing and deleting of this ad. Kit sold as is. 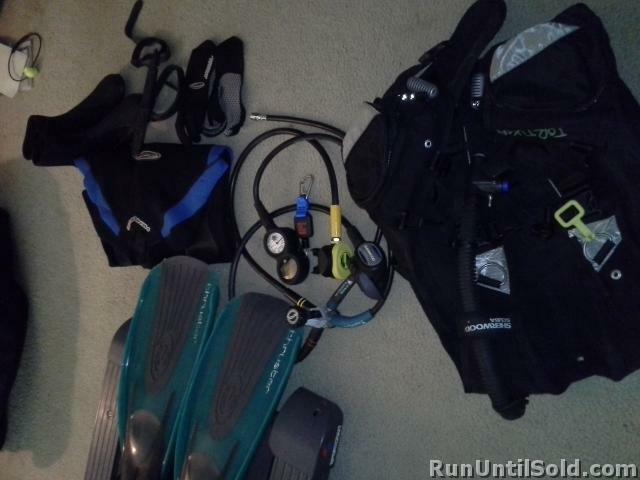 Includes: 3mil wetsuit, Sherwood Tortuga BCD, Sherwood octopus with Sherwood Profile computer, pressure gauge and Oasis regulators, open heel fins, boots and gloves, Wenoka dive knife, hangers for all equipment, and some owners manuals. 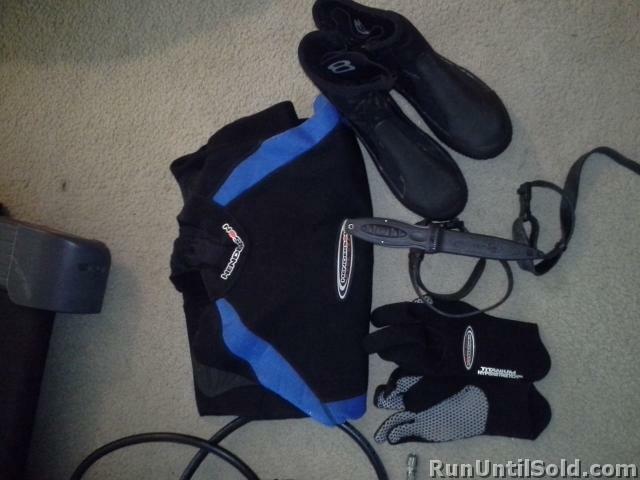 Mens size medium. 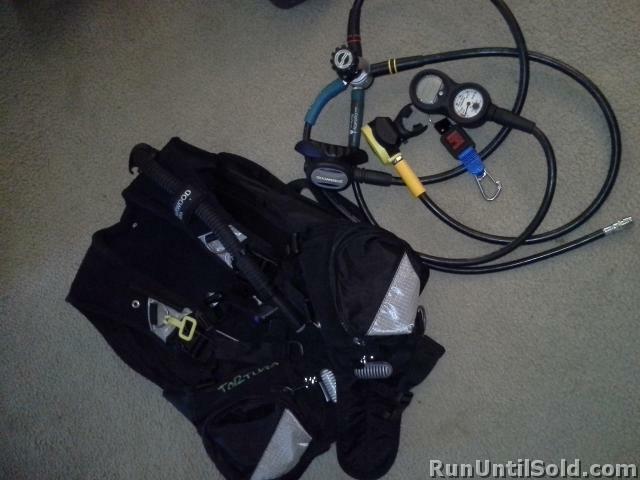 Only 10 logged dives on the equipment.